CarbonCure is a Canadian CO2 utilization technology company serving the global cement and concrete industry with nearly 100 installations in concrete plants across North America. It has been recognized as the most scalable CO2 Utilization technology by the Global CO2 Initiative and listed among the Top 100 Global Cleantech companies for the past three years by the Cleantech Group. CarbonCure concrete has been used in the construction of hundreds of projects ranging from the California high speed rail line to commercial high rise buildings to simple driveways. The technology is uniquely positioned to scale due to its quick and simple plant retrofit design, no upfront fee licensing model, supply chain and regulatory integration and compelling profitability and greenhouse gas customer benefits. To compete in the Carbon XPRIZE and to scale much quicker, CarbonCure has formed partnerships with world leaders across its value chain, including: Thomas Concrete, Argos Cementos, Burnco, Sustainable Energy Solutions, Praxair, Kline Consulting and construction design firms B+H, Dialog, RJC, LS3P, UZUN+CASE and Walter P. Moore. 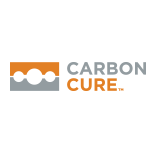 Team CarbonCure firmly believes that demonstrating the creation of value across all points of the supply chain is vitally important to achieving our common goals of massive CO2 reductions and commercial success. CarbonCure has commercialized an expanding portfolio of CO2 Utilization technologies to create concrete material performance improvements, manufacturing cost efficiencies, CO2 and water reductions and market differentiation for the global cement and concrete industry. The retrofit process uses the existing concrete production equipment and Portland cement chemistry to react with CO2 emissions to produce an in-situ nano sized mineral carbonate embedded within the concrete. The nano material enhance the material properties and economics of concrete manufacturing without impacting the normal plant operations or supply chain. 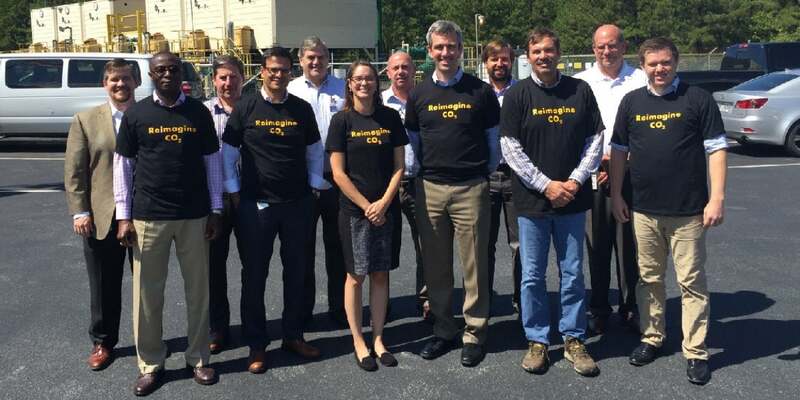 This year the Team completed the world’s first integrated CO2 capture and reuse project using cement emissions for concrete production and is excited for the opportunity to replicate the model at the Wyoming Integrated Test Center using coal emissions. Demonstrating the viability of CarbonCure within different sectors helps it realize its potential to profitably reduce CO2 emissions by 709 Megatonnes annually. Team CarbonCure is pursuing an approach that incorporates both business model and technology innovation that is compatible with industry needs to deliver CO2 emission reductions at a scale and schedule that can meaningfully contribute to the 2°C degree climate targets. Jennifer Wagner is the Executive Vice President of Corporate Development at CarbonCure Technologies and the team lead for the Carbon XPRIZE Challenge. Jennifer oversees the management and operations of the company to ensure the team meets its ambitious growth targets. Jennifer helps guide the team in developing new technologies to meet the growing demand for products made with carbon dioxide, which is expected to be worth $1 trillion by the year 2030. Jennifer is a CSA-Certified Greenhouse Gas Inventory Quantifier, and has been involved in many boards and committees including the HPDC Board of Directors, USGBC Supply Chain Optimization Working Group, Canada Green Building Council and Dalhousie University’s Faculty of Management. Jennifer holds a Bachelors in Science from McGill University, a Masters in Chemistry and an MBA from Dalhousie University.